Desperately trying to connect to the WiFi network, long loading times, sticking close to the modem due to insufficient coverage and waving devices in the air, hoping for a connection – who hasn’t experienced the downside of wireless freedom? In the early years, these troubles were due to the lack of according technology, low data transmission rates and poor design of the devices. Nowadays, however, crowded WiFi channels are often the main cause of poor WiFi connections. The most popular range for WiFi transmission is the 2.4 GHz frequency band, which stands out by its easily accessible technology, good coverage and resistance to interference. For today’s current broadband data transfer, this frequency band only offers three channels, wherein the frequency range does not overlap. Therefore, most of the modems are automatically set to one of these channels. Due to a huge number of WiFi capable devices using the same frequency, this channel becomes crowded, slowing down data transmission. 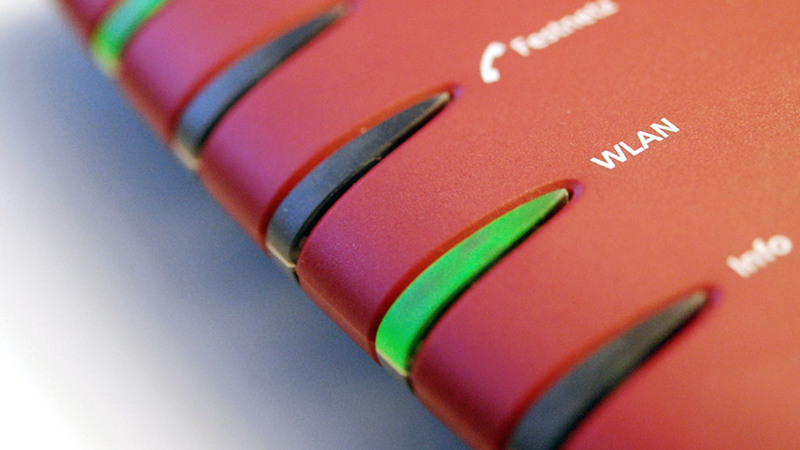 If the WiFi doesn’t work as expected, we try the usual tips: use a LAN connection, change the location of the modem or better yet use additional devices like WiFi extenders to enhance the reception range. Of course, these tips are based on years of experience of the ISPs; at the same time the advice encounters the ever-changing daily life. For instance, some devices are unable to be connected via cable, and structural conditions may cause restrictions. Consequently, one important factor to consider is that many customers don’t want to give up the comfort of WiFi. If the proven advices cannot help, it is important to get to the root of the matter, namely the overloaded WiFi channels. To do so requires a more even distribution of the data transfer to the available frequency channels. In general, changing radio channels can be performed on the modem with a little technical knowledge, but the users have no possibility to determine optimal channel for them. So trial and error are often the only way to track down the best WiFi connection. Furthermore, the capacity of the WiFi channels can change at any moment by any new device operating in the network. A permanent solution to this recurring situation is to give the users a simple tool to view the current channel loads and to configure the modem automatically. An algorithm developed by mquadr.at is based on three parameters, namely the current load of a specific channel, indicating the number of devices in the vicinity using this channel, channel overlapping and the signal strength of the other networks. Given these values, a better WiFi connection can be calculated even in urban areas, enabling the users to enjoy both a smooth and wireless surfing experience. Our WiFi Optimizer analyses the current WiFi surroundings, calculates the best channel and configures the new channel automatically on any supported modem. The user can perform the optimisation without any further need for assistance. For those using WiFi in several rooms, the multi-room analysis even allows the comparing of different locations. All of this is done with a few clicks and without any technical experience. 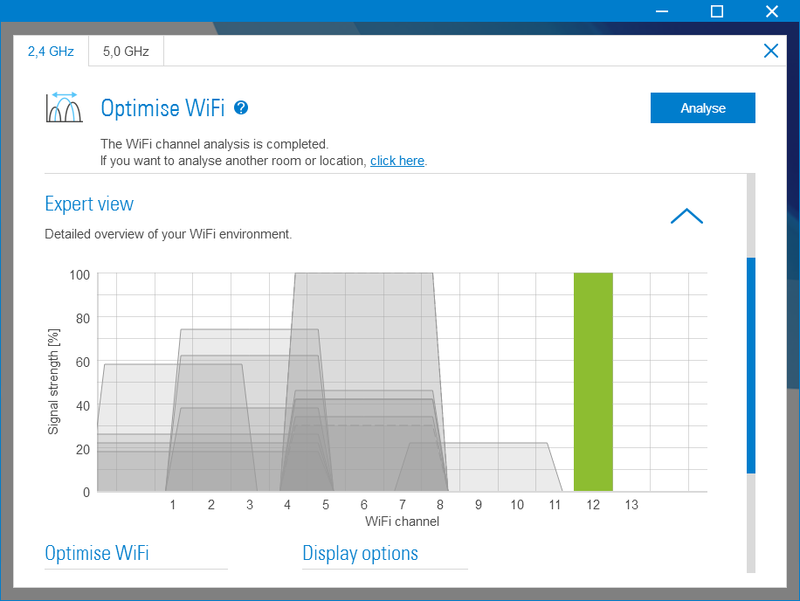 For advanced users, the WiFi expert view offers a comprehensive list of all networks and the load of specific channels for a deeper analysis of the WiFi surroundings. How have you optimised your home network and what was your experience with it?